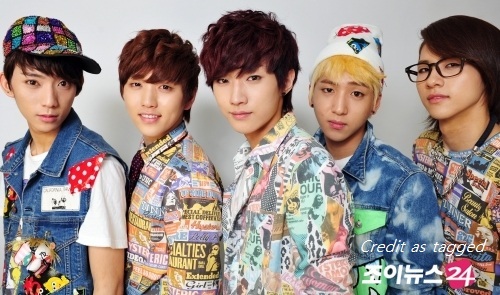 Boy group B1A4 has been cast as the main characters of KBS‘s variety show ‘Hello Baby’ Season 6! On July 5th, KBS’s CP Lim Yong Hyun reported that B1A4 has started the photo shoot for their ‘Hello Baby’ season 6 profile shots. The soon-to-be-fathers are preparing for this season’s concept of “Hello Family’s Seoul Sightseeing”. In this season of ‘Hello Baby’, two 5-year-old “babies” will be participating. As they are respectively from the Gyeongsang and Jeolla provinces, the two children, with their regional accents and sweet personalities, are expected to bring a new kind of entertainment to the show. ‘Hello Baby’ is a show that revolves around the concept of idols and stars gaining experience in taking care of babies and children. This baby care program has gathered much interest over the years, as it has featured celebrities such as Girls’ Generation, SHINee, T-ara, SISTAR, and MBLAQ thus far. ‘Hello Baby’s sixth season with B1A4 will start broadcasting on July 25th. but more because the producers are changing things up a bit by casting male groups twice in a row, forgoing the female then male format. Not that I dislike the Mommy version groups, but lets face it, watching young guys try to deal with babies is far more interesting and entertaining! I'm kinda hoping the producers have realized this cause there are some rookies out there I would LOVE to see on 'Hello Baby'. I'd say Infinite but they already did 'Birth of a Family'. I know I know that was puppies but what can I say? It's pretty similar and was just as touching. Here's hoping Season 6 is a good one!